I picked up this table to refinish, against every rational thought I had and knowing that I hate stripping furniture, here it is. 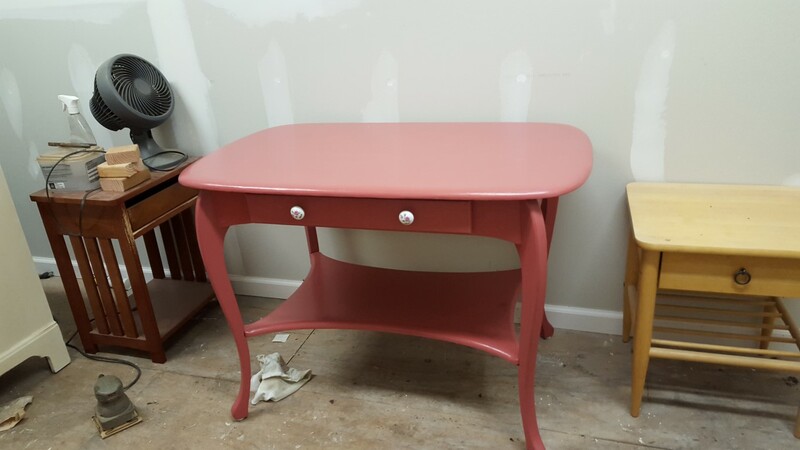 The color was a god awful mauve but I like the table style. Well, lo and behold. 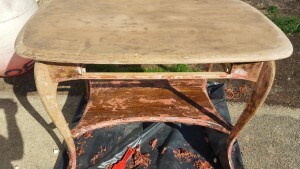 I’ve stripped and sanded it at least 6 times and I swear…this paint must be from the planet Krypton. Ergo, I do not strip painted furniture and can totally understand the cost involved with the professional stripping process. I had to buy more stripper and now trying to get any areas where paint is still left. Maybe todays my day and this will be my last day of preparing this for paint. I cannot wait to just get down to it and paint this table already….so stay tuned! !